I've just uploaded a video tutorial on how to add a sandy desert texture to your diorama base. This is Part I, where I show you how to add the base sand texture to your plaster base. 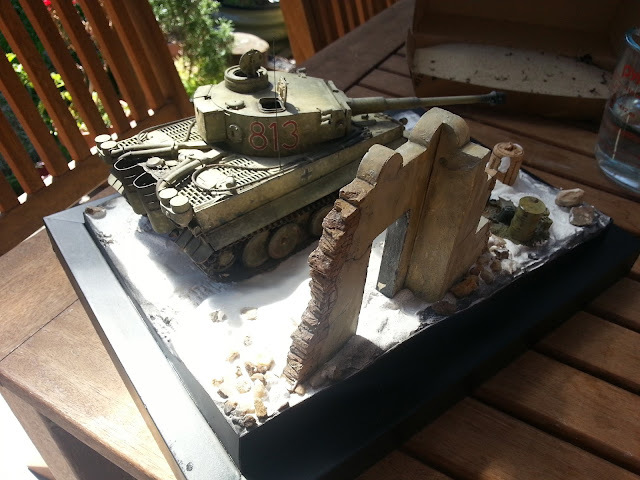 Part II will show how to add rocks and start painting your desert diorama scenery. Sand in the background, plaster ready to be worked on. Let's make this happen.